"LCA Tejas and Airborne Early Warning and Control System (AEW&CS) are on final induction after going through all the tests," said DRDO Chairman G. Satheesh Reddy in a radio interview in Bengaluru. Celebrating the "DRDO Day", Reddy told state-run All India Radio (AIR) that the state-run Defence Research and Development Organisation (DRDO) was set up 60 years ago in 1958 with 10 labs to enhance research work in the defence sector. 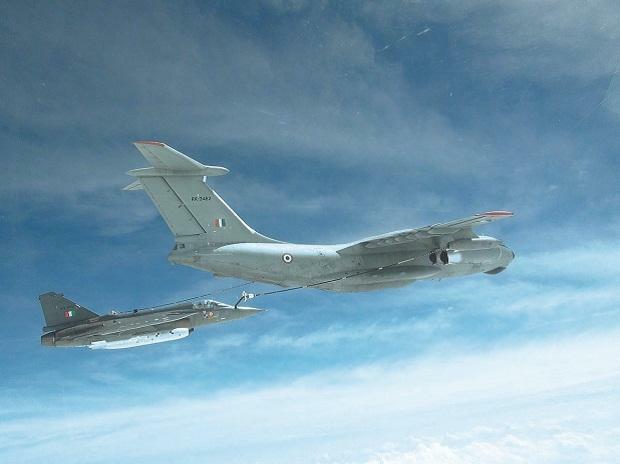 Pending Final Operational Clearance (FOC) for its weaponised version, the IAF formed the first Tejas unit - No. 45 Squadron IAF "Flying Daggers" -- on July 1, 2016, with two aircraft. The DRDO is building six next-generation AEW&CS on the Airbus platform to enhance surveillance and detection with longer range and complete view for the IAF. The platform will have a 300-km-long range and 360-degree angle of coverage as against 200-km range and 240-degree angle of the AEW&CS the DRDO built on the Brazilian Embraer-145 modified jet for the IAF in the past. Over the years, the state-run organisation grew multi-directionally in terms of subject disciplines, the number of laboratories, achievements and stature. "Presently, over 50 labs are engaged in developing defence technologies covering aeronautics, armaments, electronics, combat vehicles, engineering systems, instrumentation, missiles, advanced computing and simulation," said DRDO in its website.